South Sudan is preparing to declare its independence on July ninth. But recent events have raised concerns about the peace process that ended years of civil war with Sudan’s north. 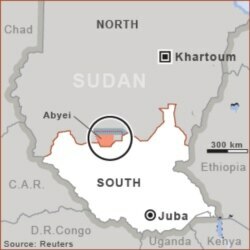 Last month northern forces seized most of Abyei, an area rich in oil fields in the central part of Sudan. The south voted for separation in January. People in Abyei were supposed to decide that same day whether to join the north or the south. But that never happened because of a disagreement over who could vote. The United Nations says tens of thousands of people fled after northern troops and allied militia occupied the area on May twenty-first. They forced out troops from south Sudan. Based on early reports, Abyei's former chief administrator said about one hundred civilians were killed. There was no independent confirmation of that number. But UN officials and independent observers say many buildings in Abyei’s main town have been destroyed since the occupation began. The north has rejected calls from the United States, the United Nations and south Sudan to remove its troops from Abyei. The area was a battleground during the long civil war. That war ended with the two thousand five Comprehensive Peace Accord, or CPA, which led to the vote in the south. On Wednesday, the government in Khartoum offered proposals for settling the dispute. The north called for an African force to replace international peacekeeping troops in Sudan. It also suggested a new joint administration for Abyei. Southern officials reportedly rejected the proposals. Two American officials met with Sudanese officials in Khartoum on Wednesday. President Obama sent his top anti-terrorism advisor, John Brennan, and Sudan Special Envoy Princeton Lyman. The Obama administration said Mr. Brennan discussed the importance of cooperation against al-Qaida and its allies. He expressed President Obama's deep concern over the continued presence of Sudanese forces in Abyei. In Washington, America's top diplomat for Africa, Johnnie Carson, called for talks between Sudanese President Omar al-Bashir and southern leader Salva Kiir. Mr. Carson said the seizure of Abyei could threaten what he called a road map for normal relations between the United States and Sudan. 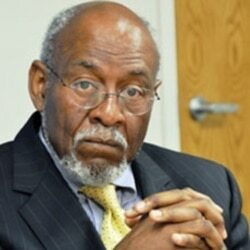 It could also threaten the possible removal of Sudan from the American list of State Sponsors of Terrorism. On Tuesday, Sudan’s United Nations ambassador said his government sees no need for UN peacekeepers to stay in Sudan after July ninth. This was Ambassador Daffa-Alla Ali Osman speaking to the Security Council through an interpreter. Those issues also include where to draw the more than two-thousand-kilometer-long border and how to share oil money. Another issue between the north and the south is Sudan’s thirty-eight billion dollar debt. Contributing: Margaret Besheer, David Gollust, Dan Robinson and Lisa Schlein.